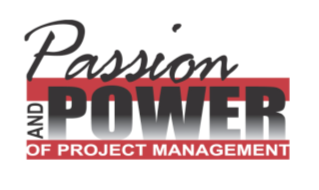 The Fourteenth Annual Project Management Conference and Workshops, The Passion and Power of Project Management, will be held at the Connecticut Convention Center in downtown Hartford on Monday, April 29 and Tuesday, April 30, 2019. The second day will have "hands on" Project Management workshops. SNEC-PMI is inviting you to participate in our full day event on Monday, April 29, 2019. CALL FOR CONFERENCE SPONSORS! Sponsor Packages are available for your consideration! We will be updating our website continuously in the months leading up to the conference. Please follow the developments and join this exciting event. * Full Payment due by April 5, 2019. ** Additional participants may attend at $150/pp. Advanced registration and payment required. *** Begins with sponsorship confirmation and receipt of logo until the event in April 2019. Sponsor will be listed in Conference Program and on the SNEC PMI Website as a contributor towards the break. Announcements made at end of Workshop and\or Keynote Sessions that "Contributions towards break provided by…."